TORONTO, ON – Three beers from Montreal’s multiple award winning gluten-free brewery Brasseurs Sans Gluten will be served in Ontario for the first time today (Friday November 16th). 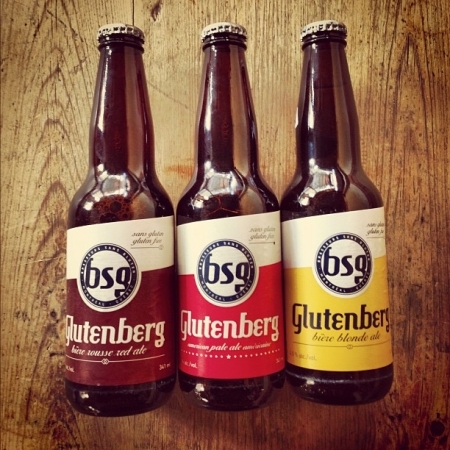 Starting at 5:00 PM, a trio from the brewery’s Glutenberg line-up – Blonde Ale, Red Ale, and American Pale Ale – will be available to sample at barVolo (587 Yonge St., Toronto). At the same time, Volo will also be tapping a cask of Maple Stout from Snowman Brewing, a local gluten-free brewery.